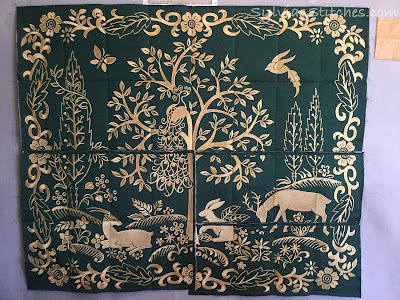 Another week's worth of progress on the Golden Tapestry. It is coming along! 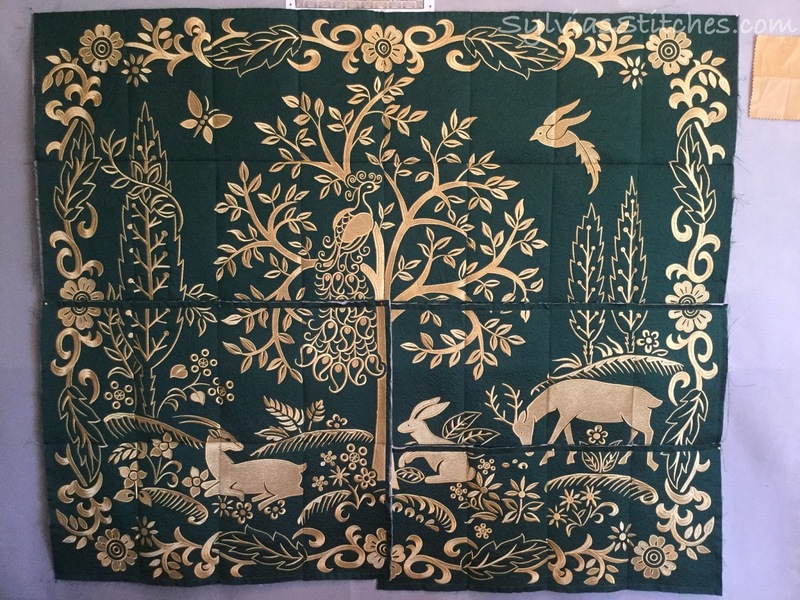 Great news is that I've stitched the last green silk panel in the main design. Happy Day! I started stitching the last panels together. Will do the bottom right quarter of the design, then stitch it to the bottom left quarter, and then finally the top and bottom halves together. I end up taking out my stitching and rejoining the panels at least once because the I am not happy with how the design matches up the first time. Slow progress but it's getting there. 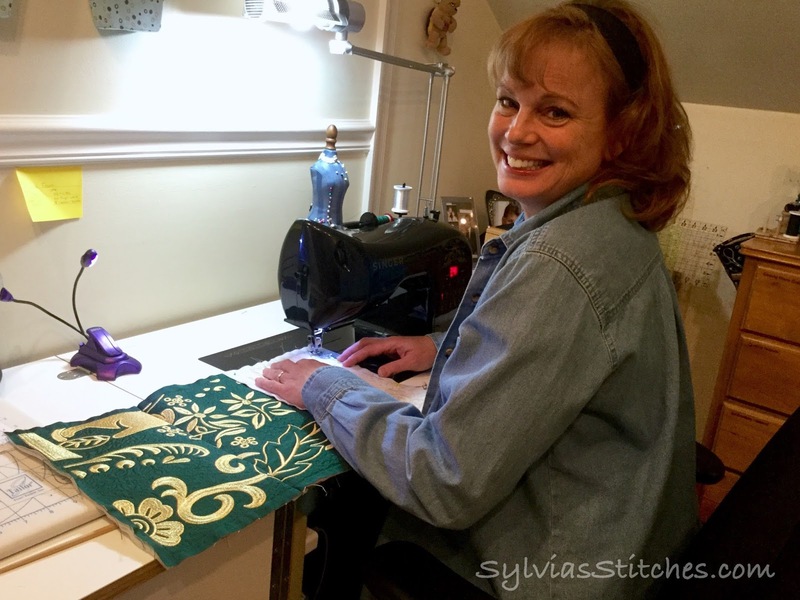 I have my gold silk for the border all cut and ready to stitch. That will be next. 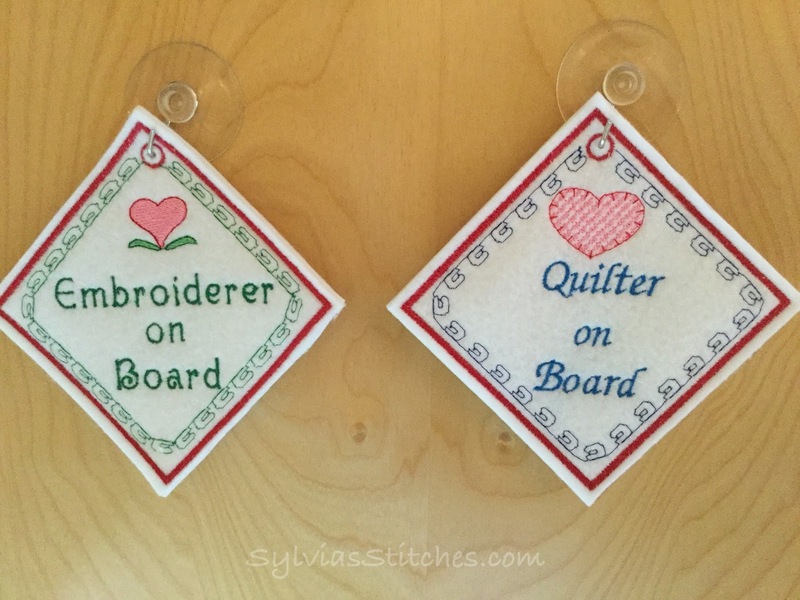 After the last green panel finished, I took a little break and stitched a couple fun signs for myself. 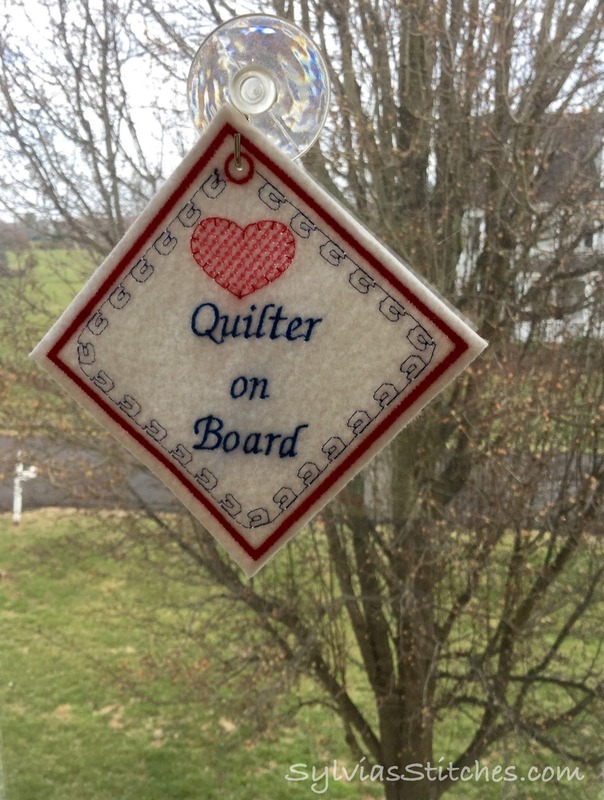 This tapestry definitely combines embroidery with quilting. 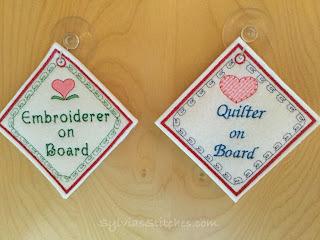 Embroiderer on Board and Quilter on Board signs! I'm sharing this post with Connie's Linky Tuesday and Esther's Work in Progress Wednesdays.